We offer complete commercial insurance coverage for businesses every size! Coverage for asbestos, lead, mold, pollution and other environmental insurance markets. Offering competitive rates, better service, a larger program, or simply new bonding. With over 100 markets to provide the best, broadest coverage at competitive rates. We strive to provide you with the best possible insurance coverage, the highest quality insurance carriers and the most competitive rates. Our knowledgeable staff combines for over 100 years of experience, all understanding the need for outstanding customer service. Assurance Brokers has achieved much of our success by providing excellent service, pricing and value to our clients. Whether serving the construction industry, manufacturers, professional practices, habitational, transportation or not for profit entities. We strive to get the job done for you at the best pricing available. We’re one of largest Bonding Agencies in the St. Louis Metro area. 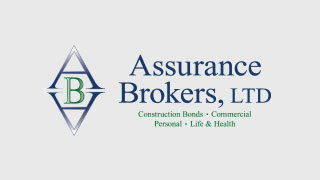 We are licensed to write Surety bonds in 42 States, and have over 25 markets we work with. Whether you are a large established firm looking for competitive rates, better service, a larger program, or a newly formed company just needing bonding, we have the tools & experience to get it done. A leader in providing coverage for contractors and owners involved with asbestos, lead, hazardous waste, mold, remediation, transportation and site pollution. As environmental awareness and potential liabilities have grown, our knowledge and abilities have kept pace. Our access to over thirty markets allows us to give you the best pricing and coverage in the market. Our Personal Insurance professionals are here to discuss your individual insurance needs. We work with high value and standard carriers, as well as specialty companies. Whether you need coverage for your homes and cars, boats and RVs, or vacant and rental homes, we will provide you with appropriate protection. Looking to obtain the broadest health coverage for the lowest cost? We provide competitive rates for group and individual health, dental, life, and vision. Protect your family’s future & peace of mind with purchase of one of our life or disability insurance products. With over 100 markets to provide the best coverage at competitive rates, we also offer key man insurance and buy-sell agreements.